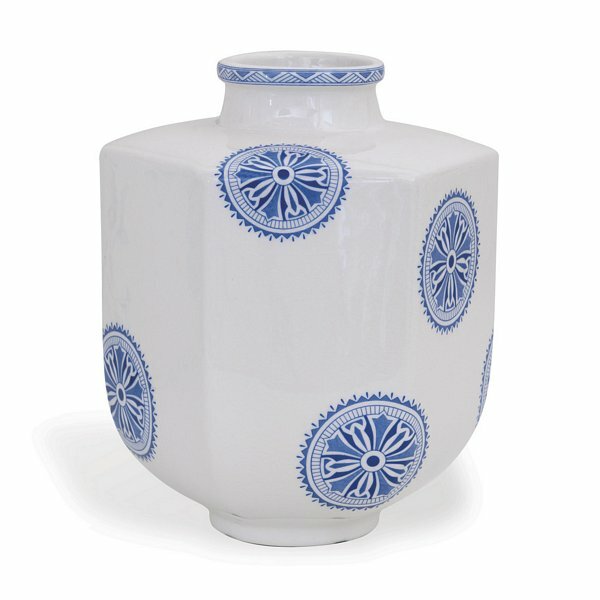 Port 68 ACBS-308-07 - Temba is our modern inspired collection of transferware. Cream crackle porcelain is the background for the process of using a decal in color with the neutral background of ceramics. The process was originally done in England in the mid-18th century to transfer or copy from an engraved copper plate Chinese patterned designs which were popular at the time. Transferware was a way to bring the look of expensive hand painted pottery and dinnerware to the middle class in England. Collectors around the world embrace the useful dinnerware, platters and graphic pottery of transferware. Often transferware celebrates important buildings, pastoral scenes, animals and flowers. Our collection marries modern shapes, floral motifs and architectural details.